« 5 reasons and a bonus point why the Center for Investigative Reporting should buy Digital First Media’s Bay Area newspapers (with apologies to Rosey Rosenthal). So this CityLab/SF SPUR article has been making the social media rounds recently. It argues that the San Francisco’s crisis of housing supply and affordability has been caused by the failed policies of 70s and 80s SF progressives, either by intent or a tragic set of unintended consequences (i.e., either SF progressives are mean and nasty or stupid). The question, though, that this line of reasoning can’t answer is this: why is it that at roughly the same time, in roughly the same shape, with roughly the same consequences, this pattern of housing crisis appeared not just in cities up and down the west coast from Vancouver to San Diego, not just in major US cities across the country, but globally? And given that, how is it possible to explain a genuinely global phenomenon by way of very local, place-based political decision-making? The fact is, I think, that local housing markets have been internationalized, at least in terms of the flow of money across borders. This is a new reality, a function of neoliberalism as pernicious as any other – and the traditional theories and conventional wisdom about how local housing supply and demand functions – hence the policies that ought to be followed (not to mention who gets the blame) no longer makes sense. That’s Jim Russell’s point here. Before we all join in a chorus of blaming a few local policies and people for what’s really a global systemic failure, his argument about what’s causing our troubles needs to be brought into the debate. My read of the SF situation is so strongly colored by my own experience with what was called urban homesteading and (more broadly) neighborhood based housing development in the South Bronx and outer Brooklyn in the late 70s and early/mid 80s. In the Bronx especially, we were dealing with the epidemic of private housing abandonment that hit NYC especially hard in the 70s. That’s me, over on the right side, with our gang. For sure, we were coping with the insanity of a property market that’d completely collapsed. But it was also obvious that this tremendous shift in the housing market had much, much deeper causes than simply individual landlord decisions, or the City of New York’s housing policies. It was impossible not to see that we were reaping the bitter fruit of the wholesale reorganization of NYC’s economy – especially the loss of its traditional blue collar industries – combined with the political reaction against the gains of the 60s and early 70s. One result of that housing crisis? Some 40,000 tenements were brought into public ownership by the City of New York, as landlords left the market. In the space of a very few years, New York City unwillingly inherited a vast new public housing stock. The question was: what would the City do with it? And there was a real choice to be made. One alternative – the one, of course, not pursued – was to use a mix of tenant ownership, community management, and municipal management – to create decent housing for thousands of low income and working class New Yorkers. Imagine what a difference that would have made in the City today if that route had been followed. Instead, of course, the dominant elites, with their focus on municipal financial discipline, adopted a policy of getting those housing units out of public ownership as quickly as possible. There was a genuine progressive opportunity there, though, but not the progressive political power to make it happen. (It’s also not possible to think of Bill DeBlasio’s progressive political ideas, though, without taking the events of the 80s into account). I ended up writing my PhD thesis on this. When I moved back to San Francisco in the mid-80s I thought maybe I’d do this kind of work out here, so I did some volunteer work with Calvin Welch, taking a look at who was building affordable housing in SF. 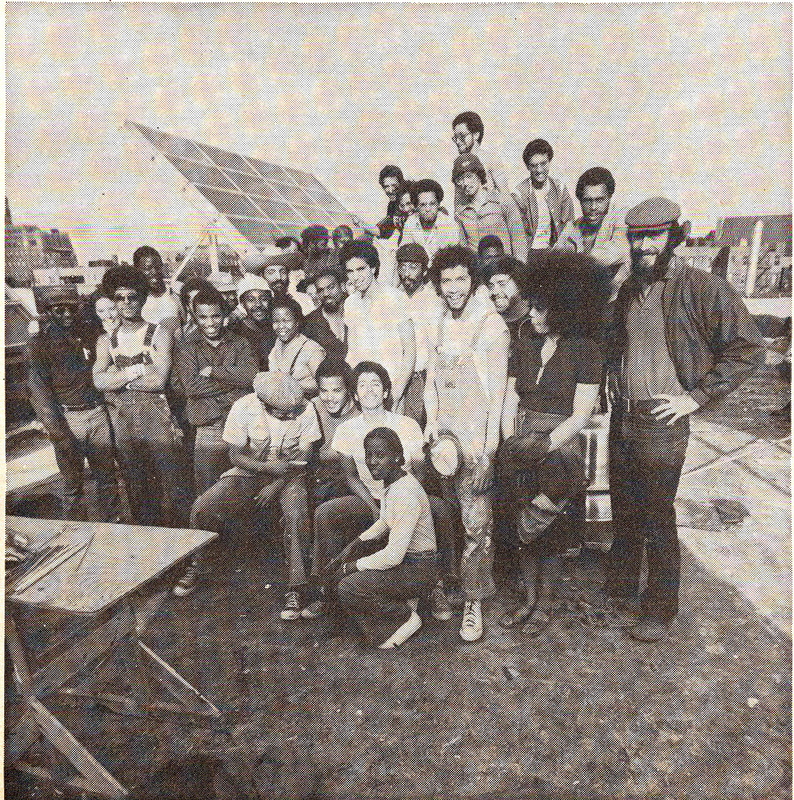 Turned out that the leaders in the field were a network of NGO community housing organizations, nearly all of which had come out of the housing and neighborhood struggles in the City of the previous couple of decades. So that’s where I come from, and what I know about. My life and work took a different direction after that mini-project for Calvin, and I don’t have any expertise when it comes to what’s happened since. So that’s what I don’t know. But you should know: this is why, when I look at the contemporary San Francisco housing affordability crisis, it’s my strong belief that this is not a local problem per se, but the local expression of a much larger problem. It’s a capital markets problem, not a housing markets problem. My read of the Citylab piece is that it only looks at the housing market realities and concludes that the primary barrier to increased affordability is the legacy of burdensome regulation from the housing movements of the 70s and 80s. IMO, this is a completely subsidiary element of the problem we’re dealing with. The question, in my mind, is what can we do to address the larger problem, that of the capital market. And that requires a rethink of the theory, organizing strategy, and policy about housing – which right now is trapped in a circle of deregulation, high density development, and skimming some portion of the developers superprofits for a modest affordable housing element. A housing solution for a capital market problem misses the point. I simply do not see the benefits of deregulated housing development working downstream from this approach, in fact probably the opposite. I think there’s a second point in play here too, which is a historical misinterpretation of what progressives delivered in San Francisco and elsewhere. I think it’s either a naive misreading of that history or a cynical one, intended to achieve certain policy goals, to argue that the housing movement in SF was simply a preservation movement. Anyone who was involved with or knows about the fight to save the I-Hotel, or the protection of the Tenderloin from unbridaled hotel development, or the mammoth struggle to reshape the Yerba Buena redevelopment plan so that local residents gained some benefit from it, would know that preservation was only an element of hte whole, and that from the beginning, the progressive organziing strategy was over the definition of San Francsico, and whether it would be a place where poor and working people could live in dignity, and whether the benefits of neighborhood social cohesion had a place in redevelopment strategy. So willful or otherwise, this misread of hte progressive legacy delegimates and closes off that history as the basis for thinking about what worked and didn’t work, and what we do next. I do think that very different policy approaches arise from a very different definition of the problem. It’s not a housing market problem. It’s a capital market problem. How do we respond? This entry was posted on	27 July 2015 at 10:53 AM	and is filed under Fundraising+nonprofit.